The importance of birthdays and how they are celebrated vary based on culture, biology and society. When people would tell me that birthdays become boring after your 21st, I didn’t believe them. Now, as I am one month away from turning 22, I realize that I couldn’t have been more wrong. There is nothing exciting about turning 22. All you get is a year closer to death and 365 days of hearing that godawful Taylor Swift song. Depending on your culture, different birthdays have different meanings. In Latin American tradition, a girl’s 15th birthday is celebrated with a Quinceañera, a coming of age event. In the Jewish faith, bar and bat mitzvahs symbolize growing up and taking accountability for your actions at the age of 13. For most United States teenagers, 16 is the age many people get drivers licenses. At 17, citizens can enlist in the military. At 18, people have the right to vote, get tattoos without parental permission, purchase guns, do scratch-off lottery tickets and are seen as adults in the eyes of the law. At 21, people are able to purchase alcohol. After that, what milestones do we have? Should I be looking forward to turning 65 so I can apply for Medicare? What about turning 67 so I can retire and get full Social Security benefits? Before that, should I count down the days until I turn 40 to get my first mammogram? While life brings many wonderful opportunities, the celebration of a birthday just doesn’t seem as important. 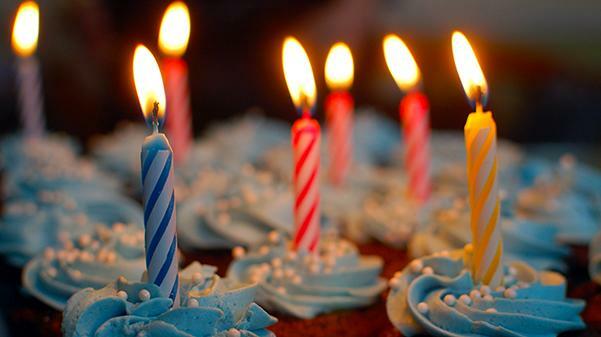 Birthdays are important to people for social, cultural and biological reasons according to a study conducted by Rama Klavir and David Leiser. This means that while there are ceremonial connotations to a birthday, it means nothing more than the number of years that have passed since birth. I might say that it is. However, people tend to take this number of years since birth and use it as a way to claim a higher status. On a child’s birthday, they are the central focus of the party. As a person grows older, that desire to be the central focus fades away. Birthdays are a reminder that we are older, we have survived another year since we were born. But all in all, it’s just a number. So, on Feb. 28, when I turn 22, I will attend my classes in the morning and go to work in the afternoon just like any other day. However, I will still go out with my friends, open birthday cards, sit awkwardly as people sing “Happy Birthday” to me and listen to that awful Taylor Swift song. Truth is, I will probably love every minute of it. Not because birthdays are important, but because the people who will surround me are.